The picture above is of this app running in the StyleTap emulator that works on jailbroken iPhones. I only used that image as it was nice and easy to get. 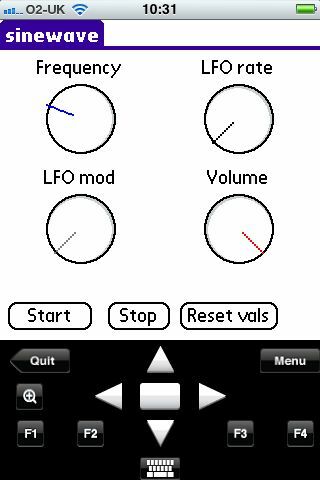 This app is a very simple little app that outputs a sinewave. It was more of a proof of concept more than anything else. There was also a sample project file that ran in HB++, but that’s long gone now so sadly you can tinker with it at all.